Topics for this week's "Gleeman and The Geek" episode included the Twins trading Eduardo Escobar and Ryan Pressly, the scouting reports on the five prospects they received, the odds of Brian Dozier, Kyle Gibson, and others also being on the move before the deadline, Miguel Sano's rushed return, Ervin Santana's lack of velocity, and letting everyone slide into our DMs. Sponsored by Pick & Shovel, Simple Contacts, Eero, and Bye, Goff & Rohde. 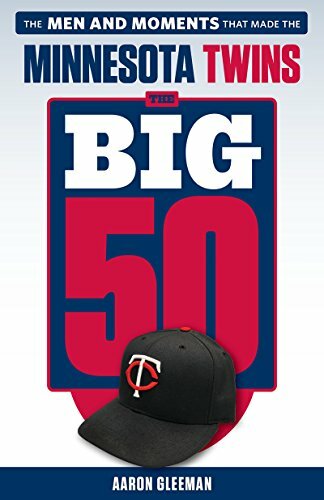 Topics for this week's "Gleeman and The Geek" episode with guest co-host Matthew Trueblood included the Twins laying an egg in Kansas City, Ervin Santana's "ready or not" return to the rotation, how much the Twins could get for Brian Dozier and Eduardo Escobar, why it might make sense to shop Kyle Gibson and Ryan Pressly too, and what the next two months have in store for Miguel Sano and Byron Buxton. Sponsored by Bye, Goff, and Rohde, RXBAR, and Simple Contacts. 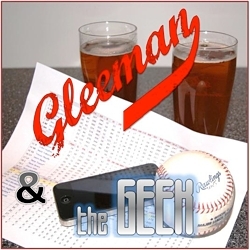 Topics for this week's "Gleeman and The Geek" episode with guest co-host Parker Hageman included a good final week of a rough first half, Kyle Gibson's slider-based turnaround, Brian Dozier getting back on track, the enigma of Max Kepler, trade deadline candidates, Logan Morrison and Addison Reed going on the disabled list, and how much longer the Twins can stick with Matt Belisle. Sponsored by Bye, Goff, and Rohde, SotaStick, and SeatGeek. Gleeman and The Geek #377: Have You Ever Panned For Gold? Topics for this week's "Gleeman and The Geek" episode included the Twins beating up on the lowly Orioles, looking ahead to a month of being sellers without a ton to actually sell, Jake Cave and the upside of fresh blood, Mitch Garver vs. Bobby Wilson, Jorge Polanco's return to shortstop, Byron Buxton's open-ended Triple-A stay, and The Purge. Sponsored by Bye, Goff & Rohde, Brady Mason, Casper Mattresses, and Away Travel. Gleeman and The Geek #376: Is It Over? Topics for this week's "Gleeman and The Geek" episode included whether the Twins' playoff hopes are already over, the legend of Willians Astudillo, an ugly weekend in Chicago, Jorge Polanco's return from suspension, how many horrible things must happen for a team to look like this, Alan Busenitz vs. Matt Belisle, the next Tuesday Taproom Tour, and Joe Mauer's loaded numbers. Sponsored by Bye, Goff & Rohde, Pick and Shovel, Mack Weldon, and Harry's Razors.